I'm a long-time videogamer. I have, if I can say so without sounding boastful, solid gamer cred. I'm not just some chump who mashes buttons on weekends. I take this business seriously. But I'm also a man. And I think it's time that we started paying attention to some very glaring issues of gender imbalance in this industry. We need to talk about the elephant in the room: Why are lead characters in videogames almost always female? It is obvious and undeniable. Take a look at the popular "hidden object" genre and a pattern of protagonists will quickly emerge: Diana. Carrie. Kira. Libby. Susan. Agatha. It goes on and on like that, and if you do ever happen to run into a Bill, a Steve or a Vincent, I can just about guarantee that he's only there for two reasons: beefcake and villainy. This may come as a surprise to some of the ladies out there but that's not exactly relatable for the average male gamer. I play these games and I thoroughly enjoy them, but do they speak to me as a man? Do they reflect my life experiences, who I am and where I came from? Of course not! How could they? They're fantastic fun and I'm certainly not going to give them up, but gosh, wouldn't it be great if just once I could look for a bowl of cherries in a long-lost Aztec tomb without having to suffer this kind of virtual emasculation? I realize that not all of you may be familiar with the casual game milieu - it's obviously not everyone's cup of tea - but let me assure you that this is big business we're talking about. It's a multi-billion dollar market and, unlike many other segments of the videogame industry, it's growing at an incredible pace. Literally millions of people around the world play these games, many to the point of near-obsession. And that's what makes this so important, and why the industry must step up and bring about, and at the very least accept, change. It's no longer good enough for videogame companies to simply create games with characters that appeal to their players. These developers and publishers have a clear obligation to drive social change and promote a more enlightened political agenda in which diversity is not just welcome, but mandatory. Diversity, after all, didn't get us here - but it might get us somewhere else. By drawing males into the fold now, the industry is opening up a treasure trove of creative opportunities for those who work in the field. The inclusion of men has the potential to be, if you'll pardon the expression, a real game-changer. Believe it or not, there are a lot of male gamers out there and they want to play. Even more importantly, they want to be included. They want to say yes, I am trying to solve my mentor's murder and save the world from a diabolical plot by uncovering the ancient and magical treasure of Ra, and I'm doing it with testicles! My hint meter is full, my chromosome is Y and by God, I will not rest until my Big Fish Game Club card is full! But until the industry is prepared to meet them on their terms, as equals - as gamers - it's just not going to happen. And while I don't want to sound alarmist, the plain and simple truth is that the videogame industry neglects this vast, untapped market at its peril. It's not that men don't have "games of their own." There are several companies that design games specifically to appeal to that market. Activision is one you may have heard of; it's a publisher of action games, the so-called FPS and such, and it's a pretty big fish in its particular pond. But these games tend to be shallow, flat and repetitive, built around the outmoded assumption that male gamers just want to shoot people in the face and blow things up. It's been a very lucrative and popular strategy so far, one the aforementioned Activision has parleyed into fabulous success, with rising profits and second quarter revenues just shy of a billion dollars. But the shallow, unsatisfying "macho-meathead formula" isn't likely to have much appeal with mainstream gamers, which will inevitably have the effect of leaving men on the outside looking in for the foreseeable future. The truth is that balance in the industry will remain out of reach until someone is bold enough to step up and make it happen. The entertainment industry cannot merely provide entertainment. Like a good parent, it must give us what we need, not what we want. But Big Tea Games isn't going to do it. Neither is Alawar Entertainment, or Gogii Games. They're too well-established and too stratified in their success to ever take the lead in pushing meaningful change. It's the male gamers themselves who must demand it, if they want it, and who must push for the day when dudes and chicks can all stand together as gamers. It is a day that I, for one, look forward to. 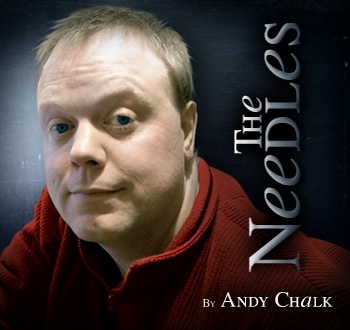 Andy Chalk really does play a lot of hidden object games.